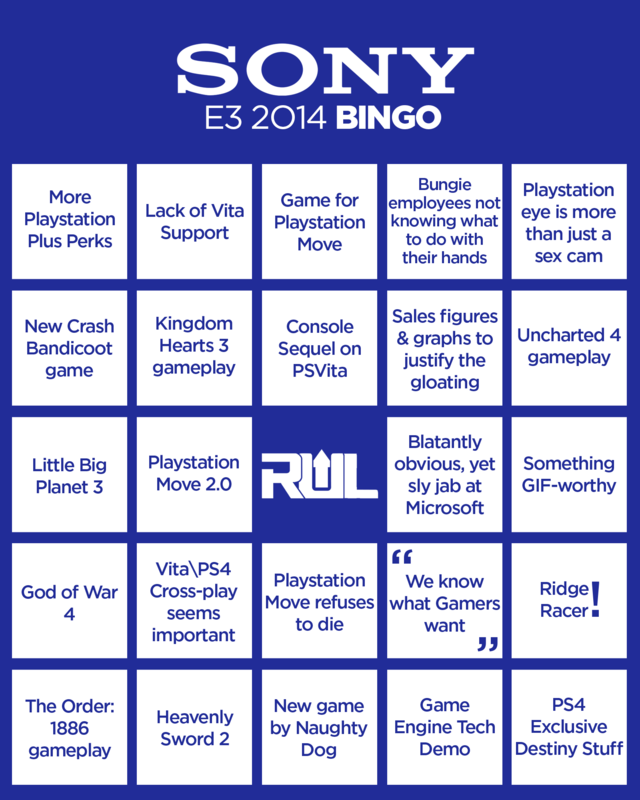 With the Electronic Entertainment Expo (better known as E3) fast approaching, it’s time to prepare ourselves for anything that could be thrown our way, from HD remakes to reboots, and perhaps some new peripherals and redesigns. It’s also the time where people are making predictions and guesses to what the Big 3 (Microsoft, Sony and Nintendo) along with EA and Ubisoft, are going to show off at their conferences. 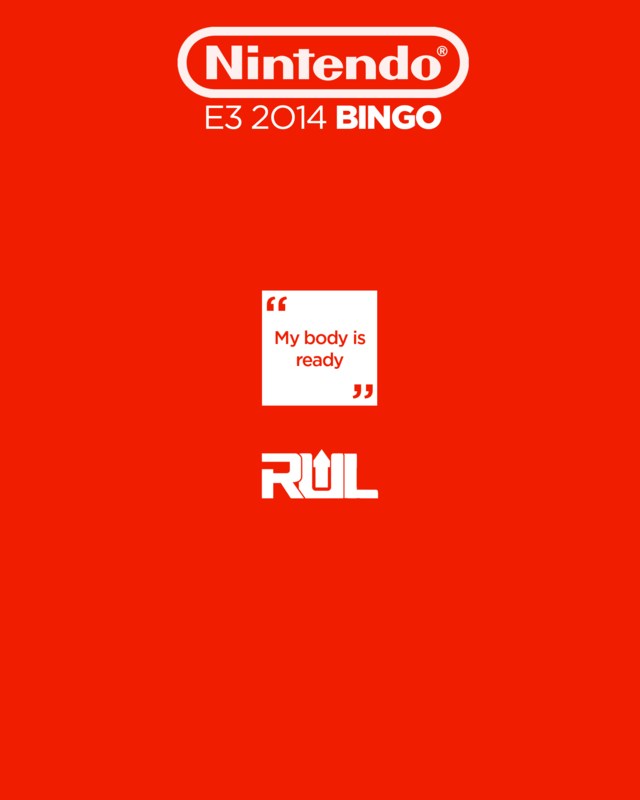 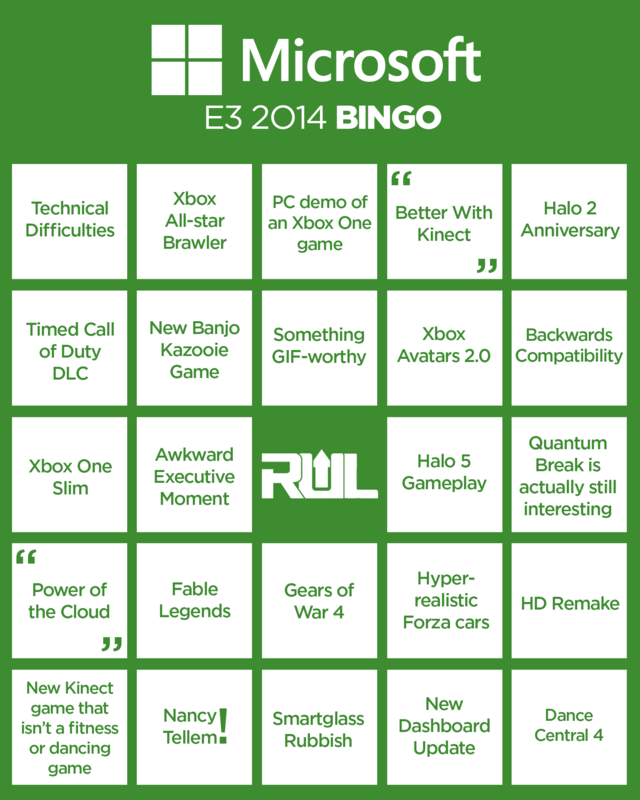 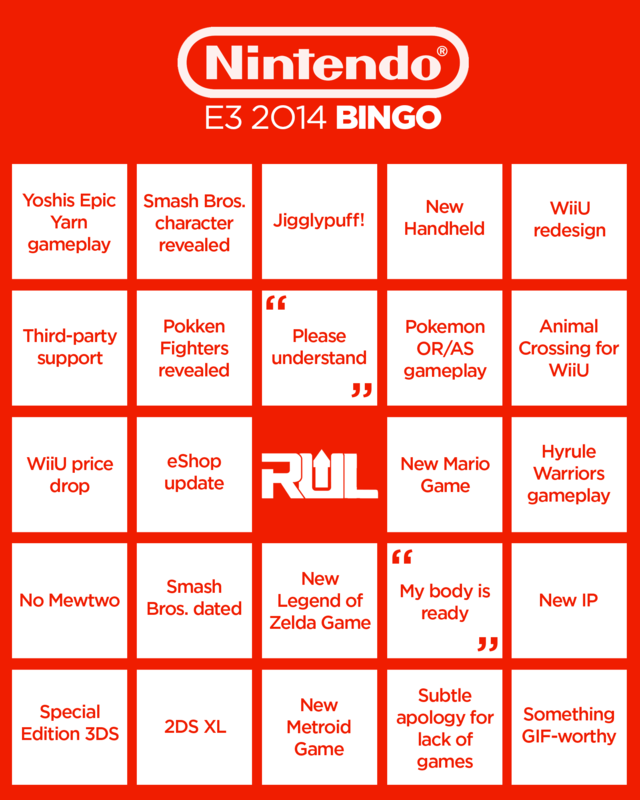 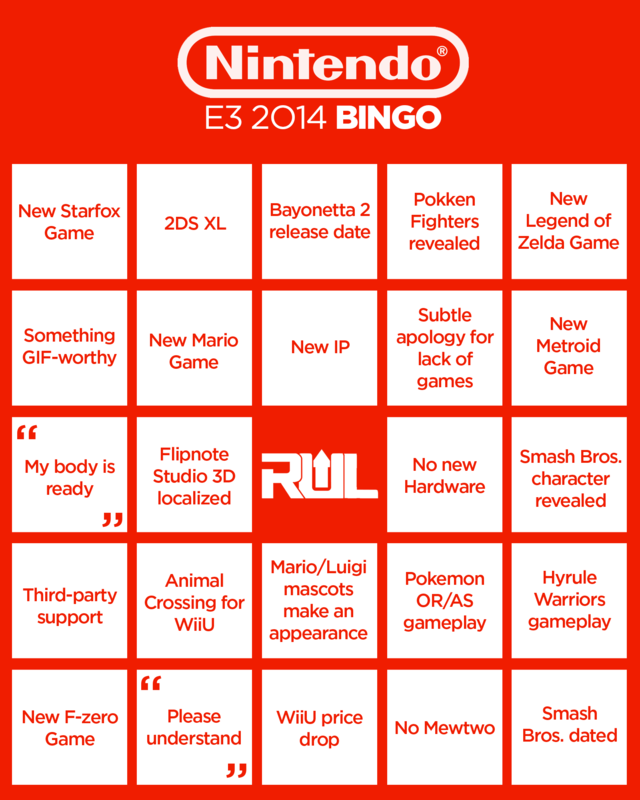 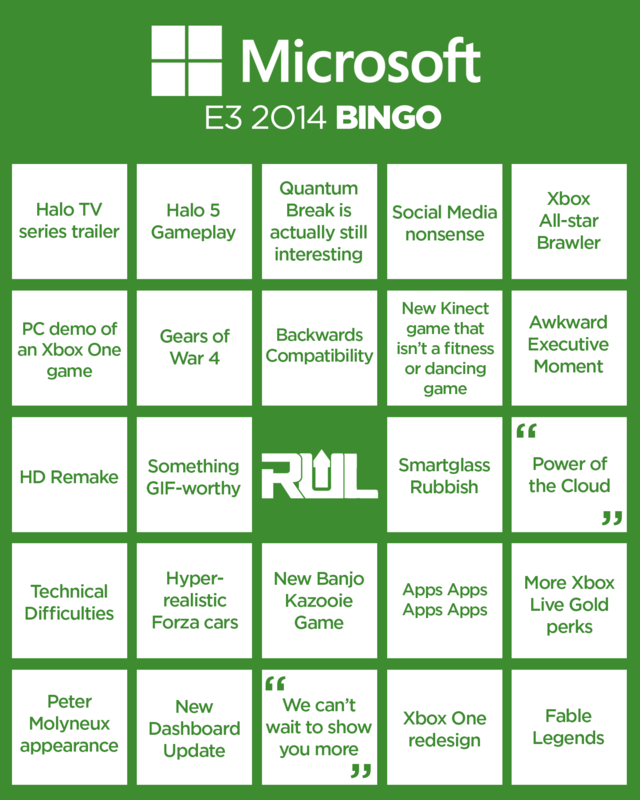 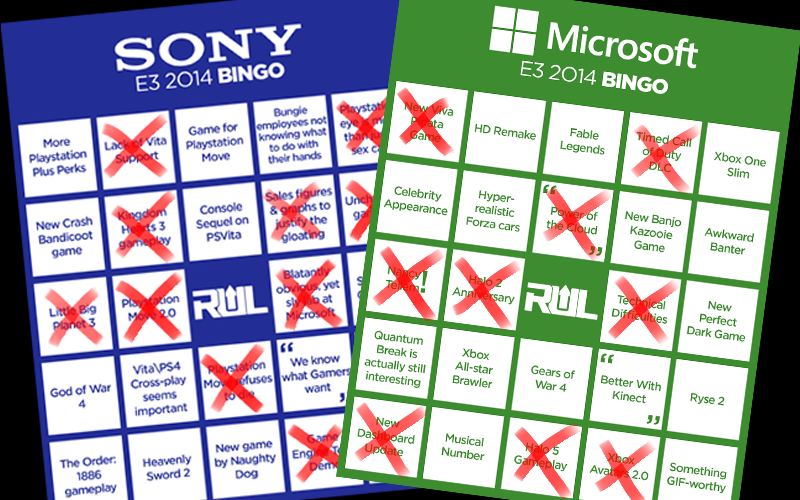 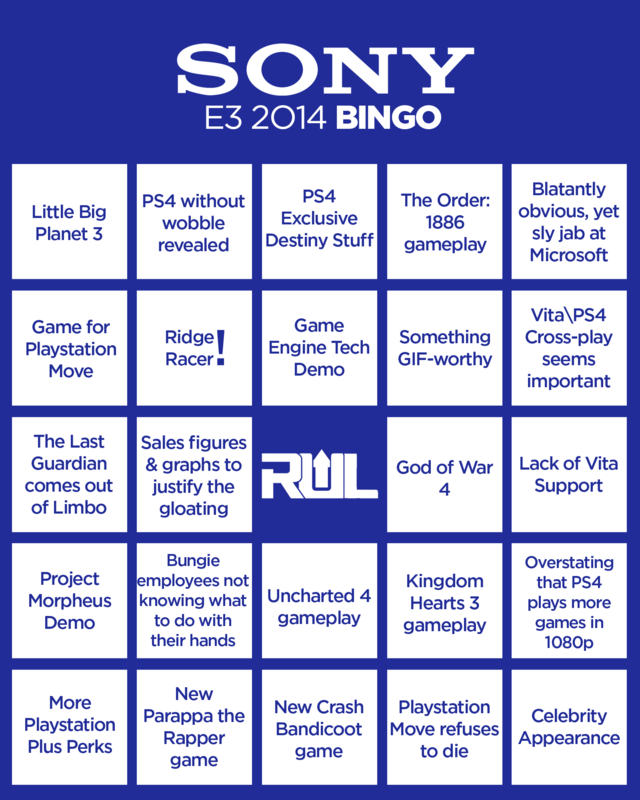 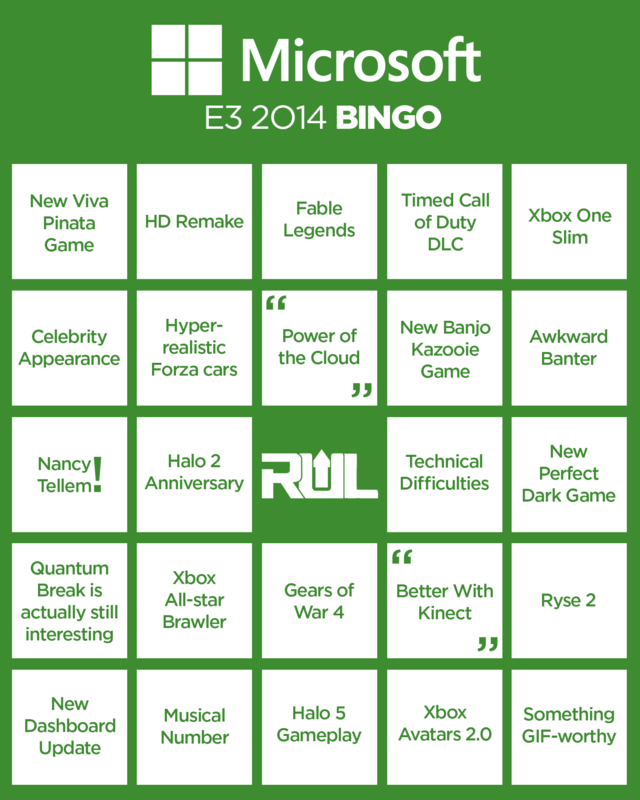 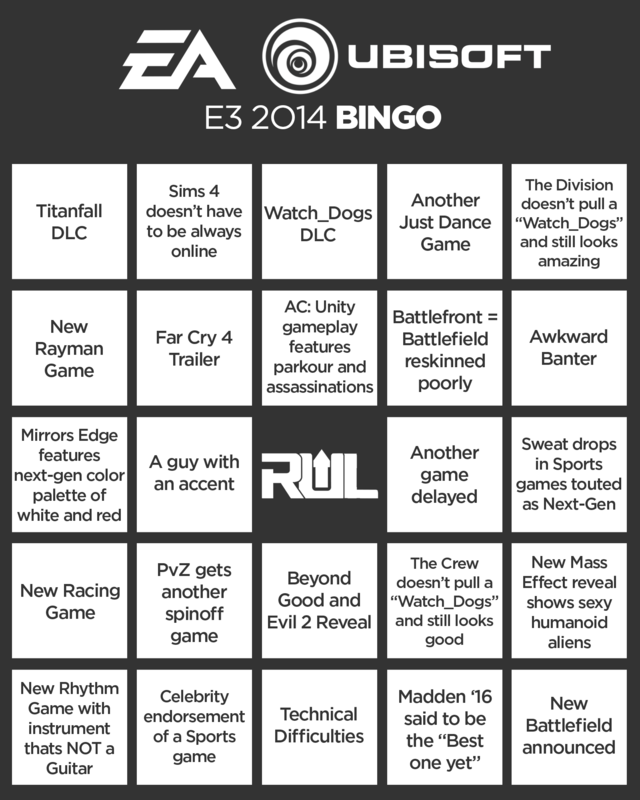 So to make things more interesting, we’ve made E3 prediction Bingo cards that you can play during the conferences. 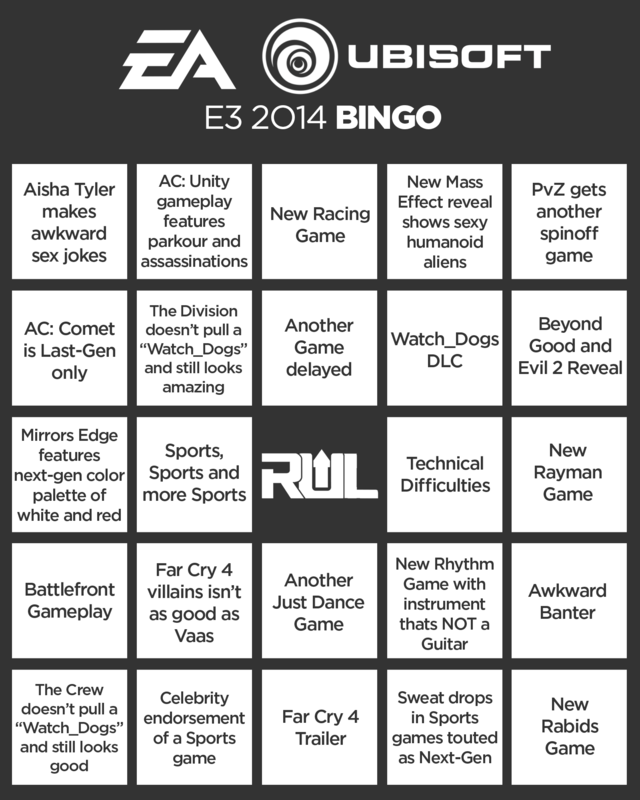 Print them out, grab a drink and watch the wins, fails, surprises of this years E3.